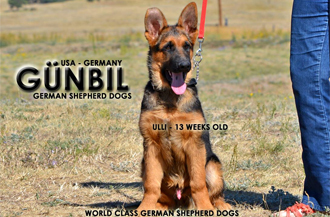 we offer you 48 years of prestigious breeding, showing and training experience of the German Shepherd dog. "best German Shepherd Puppies in the world", guaranteed! 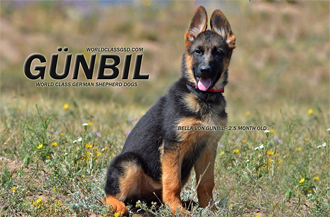 German shepherd puppies for sale in Colorado, from Gunbil Kennels located Larkspur, CO . Our Colorado bred German shepherd puppies have highest quality, world class, world champion pedigrees. 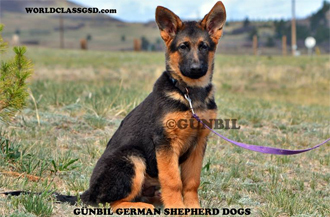 World-class puppies are registered as Colorado breeding kennel with the American Kennel Club, Colorado GSD. 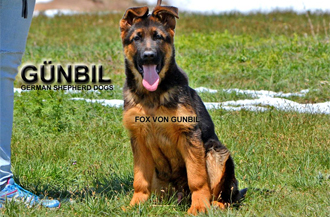 Offering best import German shepherd puppies for sale direct from our "Günbil Rochele Kennels" and "Team Günbil" kennels in Germany. The real German Shepherd puppies come from Germany, German import puppies born and bred in Germany. Really, top import puppies in the world, we guarantee it! 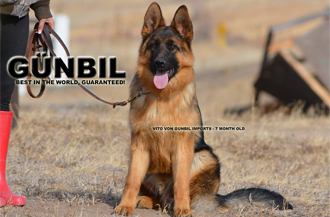 Our world class world champion working line German Shepherd puppies are recommended for all aspects of top-level competition dogs, protection for individuals, families, and businesses. We breed and import working line puppies for sale, throughout the world. Working line puppies imported from Germany. 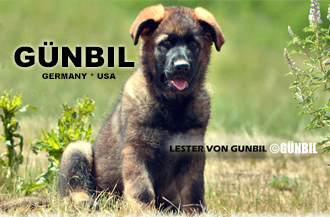 Every year we breed few private litters for our top of the line select German Shepherd puppies for breeding and to show our offspring's at the Bundessieger Zuchtscha (German Shepherd specialty show) show in Germany and around the world. These puppies are the absolutley the best and bred with this goal in mind. Our trained puppies for sale include potty and crate training, socialization skills within a family home environment including other animals and dogs. Object orientation in building drive with motivation to perform. Our trained puppies live with our families, our children, interacting daily in our homes. Trained German shepherds. Buying an older puppy or a young adult trained German Shepherds for sale can be risky and could end with disastrous results. The person or breeder that is selling the dog must have first hand knowledge of the characteristic behavior profile, family values and overall history profile, including health and temperament.